I am in the music since my childhood. Istudied nine years piano. 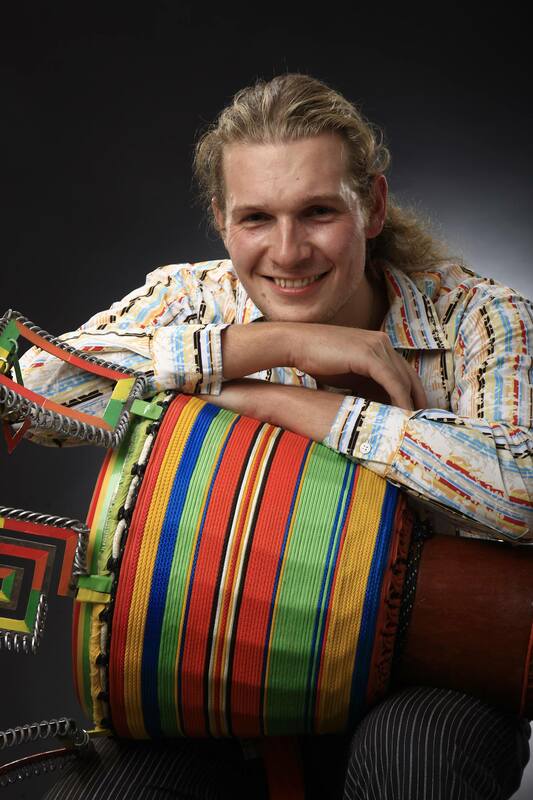 I play professionally djembe and give djembe and doundoun classes since 2006. As only one in the Czech Republic I took a look, thanks to my studies at FHS UK in Prague, at the west african music and teaching from scientific poitn of wiev. Since 2015 I run Djembemafia.com, selling top quality djembe drums and other musical instruments from West Africa as well as providing several types of djembe and doundouns classes range from Public group classes and private classes to school drumming and company teambuilding drumming. I am a professional drumbuilder. Using only the best materials such as ropes, skins and carefully selected shells, I create top quality djembes with unique design and best finishing and sound quality possible. In last decade I was lucky to meet, play with, cooperate and learn from many great West African djembe drummers such as Tonton Sylla, Famoudou Konaté, Thoms Guei, Louis Cesar Ewande, Harouna Dembelé, Sidiki Camara, Mansa Camio and many others. I co-found percussion band Parraringapatam in Prague. Nowadays I play in Soundokan and Barati Squad bands. I regularly accompany dance classes and workshops of major czech dancers, mainly Kateřina Syzmanská and Tereza Pospěchová, and sometimes accompany foregn dancers as they visit Czech Republic. With Tereza Pospěchová we arrange every summer truly unique dance/music worksho blending together two words of dancers and drummers in and connecting, enhancing and educate in really special way. Beside that I organise many weekend private and public weekend workshops during whole year and at least one week summer drumming camp. I love music, drumbuilding, creativity and improvization. I´m happy when my work brings people joy. Thanks to all who has been supporting me during years. You are my biggest inspiratin, reward and motivation!